Want to buy used Samsung Galaxy S6 Edge? You are at the right place, Comparephones4U. 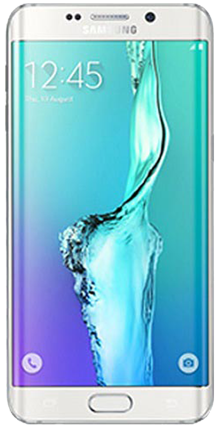 Here you can find a lot of fascinating deals that fulfill your wish of owning a Samsung Galaxy s6 Edge without spending an amply of money. Our price comparison technique makes us able to present you with so many deals for a particular handset so that you can easily choose the one that suits you the best. The Samsung Galaxy S6 Edge proves to be one of the top Android handsets to date. Its impressive specifications include the following: 5.1 inches display with curved edge screen, Octa-Core processor, 16MP camera with advanced capabilities, 3GB worth of RAM, Updated TouchWiz UI; and the list goes on and on. If you are not interested in investing a brand new Galaxy S6 Edge, buying a used one is a smart choice. The used Samsung Galaxy S6 Edge is cheaper than the brand new one as well as having all advanced features to excite smartphone lovers. So, you should not miss the chance of buying a used handset. Of course, buying a used Galaxy S6 Edge is easier than ever before. 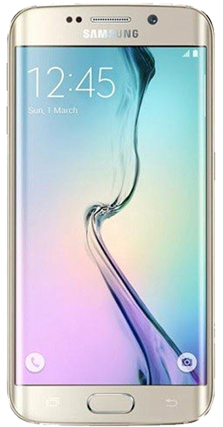 Hundreds and thousands of Samsung Galaxy s6 Edge deals are offered by online smartphone dealers/sellers and availed across the globe with a single click. However, if you are in search of the most favourable deal, Comparephones4U is here to help you out. We are proud of introducing the UK’s best comparison website that aims to provide you with the best used mobile phone deals while purchasing a used phone. Through the usage of online price comparison tool, a fair and quick price comparison will be done without any hassle so that you can grab the best-suited deal. All you need to do is to choose the colour and storage space you want for your Galaxy S6 Edge and then press “See Deals” button. 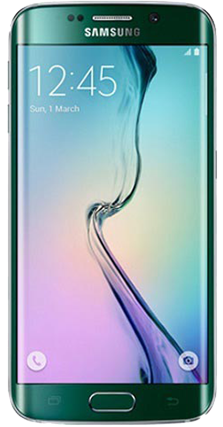 A list of top used Samsung Galaxy S6 Edge deals offered by UK’s leading smartphone online stores will be presented at one place. Then, you will just have to pick up the one you like the most. After this, you will be redirected to the dealer/seller’s website to confirm your purchase. Once you do, your ordered product will be delivered soon. If you have made up your mind for buying a used Samsung Galaxy S6 Edge, check out Contract and SIM Free phone plans at Comparephones4U. Our SIM Free mobile deals are suitable for those who want to enjoy their favourite network services on their handset without any trouble. Conversely, Contract phone plans are designed to give you a customised solution for paying the price of a used phone. By signing a contract plan, you can buy used Samsung Galaxy S6 Edge and pay some monthly installments instead of paying the price in a lump sum. So, what are you looking for? Shop a used Samsung Galaxy S6 Edge now and save you money and time! For all those who wish to get reasons for why they should buy used Samsung Galaxy s6 Edge, know that there exists a list of endless reasons. It is one of the best and cheapest ways to upgrade your world of communication. The first reasons is its design, and look which are way more appealing than its previous versions. Next, it offers access to Samsung Pay, the mobile payment system which is very much similar to Apple Pay apart from one extra feature - the Magnetic Secure Transmission (MST). It is capable of using existing magnetic stripe technology that is currently being used all over the world. One can also count on better efficiency and faster speed of these devices thanks to its Exynos 7420 chipset-like. It is 15% faster than the Qualcomm Snapdragon 810 chip and 58% better than Apple’s A8 chip. A win win deal on both ends. Check out the following deals that includes both refurbished and used phone deals. Our team here has picked up the best deals that offer genuine handsets with best quality assurance. We work to serve with nothing but the best.